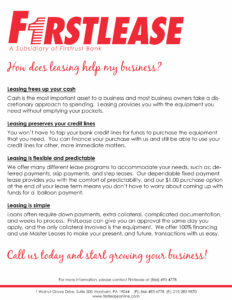 How does leasing help my business? 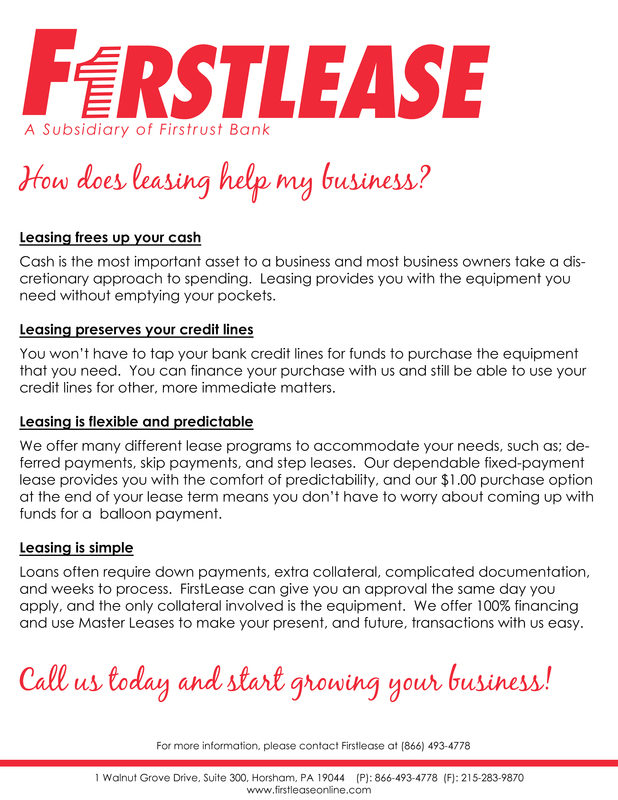 Do you need new equipment for your business? 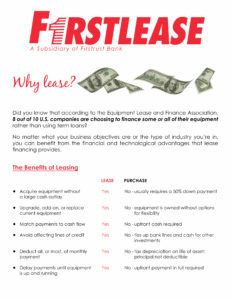 Learn how easy it can be to acquire the equipment you need while preserving your cash. 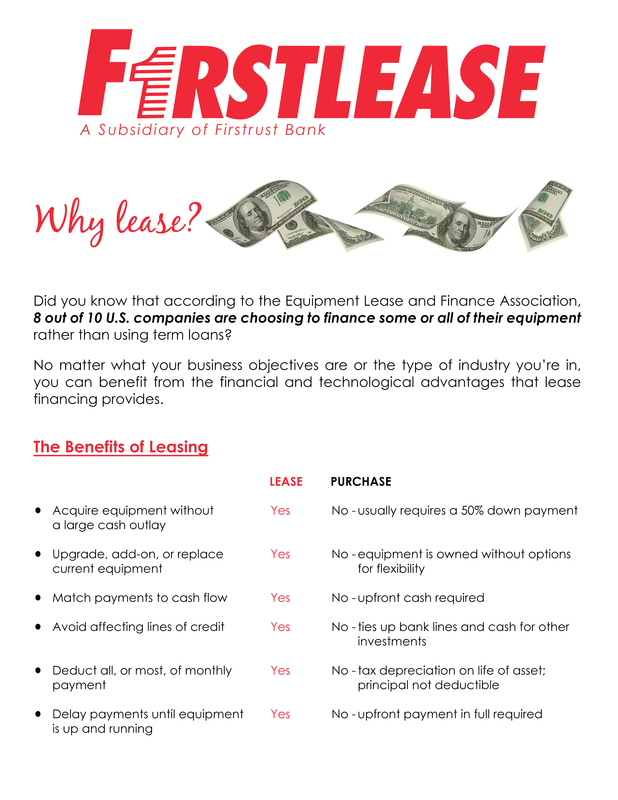 No matter what your business objectives are, you can benefit from the financial and technological advantages that lease financing provides.